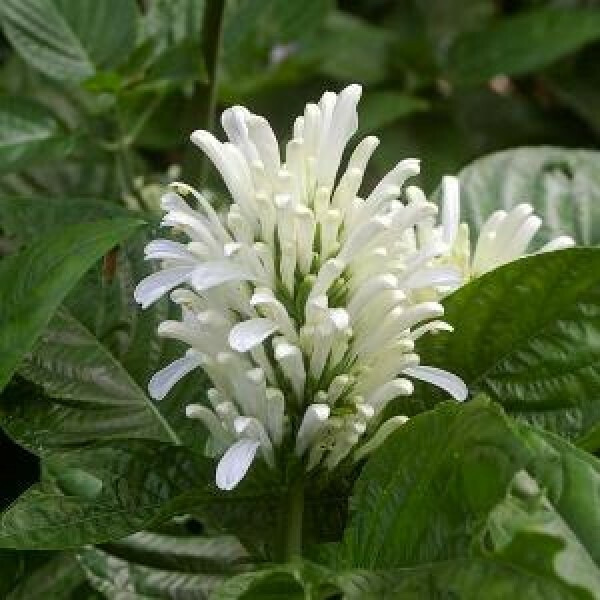 With its upright plumes of tube-shaped blooms and long, dark green leaves, jacobinia (justicia carnea) is an attractive and sweet-smelling shrub. Jacobinia, which grows in the temperate climates of USDA Zones 8b through 11, is available with blooms in shades of red, orange, apricot, white or rose-purple. Also known as "flamingo plant" because of its showy flowers, jacobinia can be tricky to grow, but will do well in moist, well-drained soil with shelter during the heat of the afternoon. Water jacobinia regularly and never allow the soil to become bone dry. The soil should be consistently moist at all times but never soggy. Remove spent blooms with a pair of garden pruners throughout the blooming season to encourage continued blooming and keep the shrub tidy. More drastic pruning is rare, but should always be done in early spring before new growth appears. Prune the tips of the plant to maintain the desired size and shape. Remove any dead or weak branches. Plants nature is indoor-semi shade.